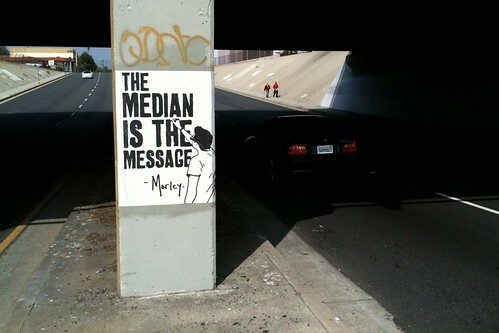 The Median is the Message, originally uploaded by Atwater Village Newbie. Los Feliz Blvd., on the way into Glendale. Buying cheap Chinese stuffed animals, painting a mask on them, and throwing it over a power line isn't art... it's suspended litter.